This post expands upon the existing thread of color-coded signage. 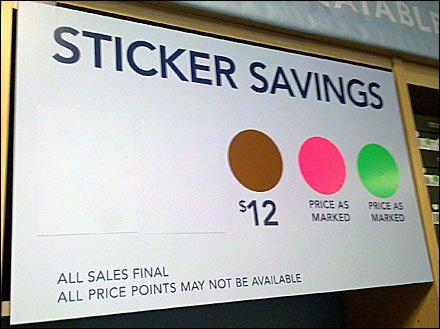 Here attention is drawn to the price and level of savings by sticker color. Obviously it is a coding system under development as portrayed choices are limited. SEARCH “Color Strips” to pursue use of color in shelf edge label holder systems.